Summer is the best for quick easy salads and this combination of sweet, acidic, and salty is incredible. 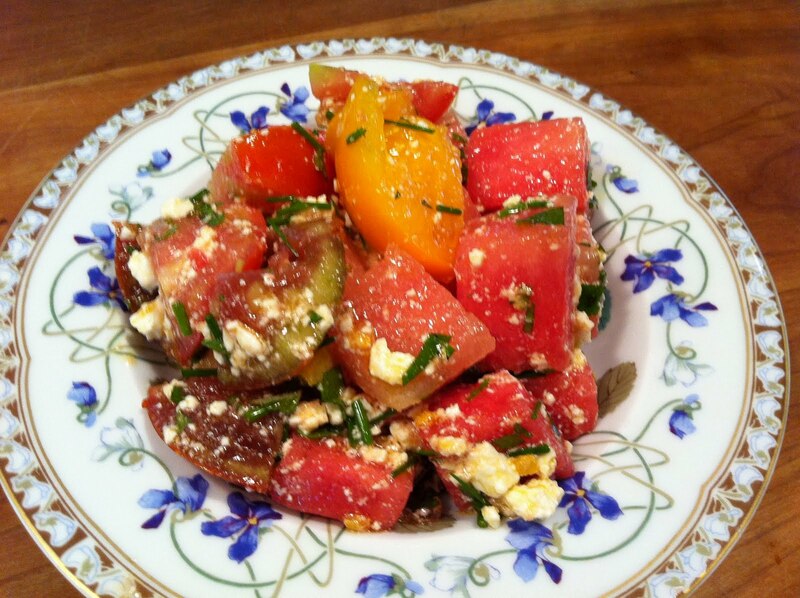 Simply combine one inch cubes of seedless watermelon, large chunks of tomatoes, feta cheese, chopped mint and chives, then dress with extra virgin olive oil and red wine vinegar. You could substitute basil and scallions just as easily, whatever you have around. This is a great one!